Some common themes on this list are couples who act cutesy and people making big decisions without putting much thought into them. 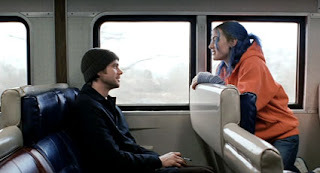 After breaking up, Joel (Jim Carrey) and Clementine (Kate Winslet) get the memories of their relationship erased, only to realize there was something there that was worth remembering. It’s peculiar that movies about love going wrong have the most to say about love in general. Being treated to Joel and Clementine’s relationship crumbling from the top to bottom is just as devastating as it sounds.The ending leaves a bittersweet feeling: they are finally getting back together again, but they are also subject to hate each other again as in their previous relationships. The question of whether or not the two of them are meant to be together, or if they constantly breakup because they truly hate each other, haunts me to this day. Sure, Alvy (Woody Allen) and Annie (Diane Keaton) have fun together and they both enjoy playing with live lobsters and making fun of Truman Capote lookalikes, but they are far from soul mates. Alvy is New York (close-minded, uptight) and Annie is Los Angeles (free-spirited, unpredictable). “Annie Hall” contains some of the grandest romantic moments in the movies (Alvy and Annie in front of the Brooklyn Bridge), yet in its ending, it reduces relationships to a need, and not a desire. Nonetheless, this is one of the most enjoyable instances of a failed relationship you’ll ever be a part of. Ben Braddock (Dustin Hoffman) sweeps in and saves Elaine (Katharine Ross) on the day of her wedding to tall, blonde, and handsome Carl. The shot of them sitting on the back of the bus together, laughing and smiling over what they have just done, could bring the hopeless romantic in all of us to tears. But then, reality, unhappiness, and ambiguity quickly set in. Maybe these two were acting on impulse and not calls of fate. Maybe they are making the same mistakes their parents once made, which they both wanted to escape from. The uncertainty of the future lies ahead for them, one likely filled with Vietnam War protests and occasional acid flashbacks. Sure, Tom’s (Joseph Gordon-Levitt) belief in true love is reaffirmed in the end when he meets Autumn, but the path to getting there is filled with doubt. Watching Tom be misled into a relationship with Summer (Zooey Deschanel) is as painful as it is funny. While Tom goes on a tirade against greeting cards and pop music, there is no need to start protesting Hallmark or plan a mass burning of Smiths records. Rather, try not to fall in love with someone because they also think “There Is A Light That Never Goes Out” is a good song. A lot of people like The Smiths. Most of these movies end with the main character meeting someone who they at least think they will spend the rest of their lives with. If you were looking for a movie that could diagnose you with chronic depression, than look no further. “Blue Valentine” is about a marriage completely falling apart in grueling detail. Any movie that could make you want to punch Ryan Gosling in the face must be well made because seriously, nobody hates Ryan Gosling. * “Blue Valentine” is ultimately a cautionary tale, and its greatest lesson is that you should never marry anyone just because they can play your favorite song on the ukulele. Thanks to friend of The Reel Deal Josh Fisher for the “Blue Valentine” suggestion. This entry was posted in 500 Days of Summer, Annie Hall, Eternal Sunshine of the Spotless Mind, Romance, Ryan Gosling, The Graduate, Valentine's Day, Woody Allen on February 14, 2012 by ian0592.